Do you need a little laughter in your life? 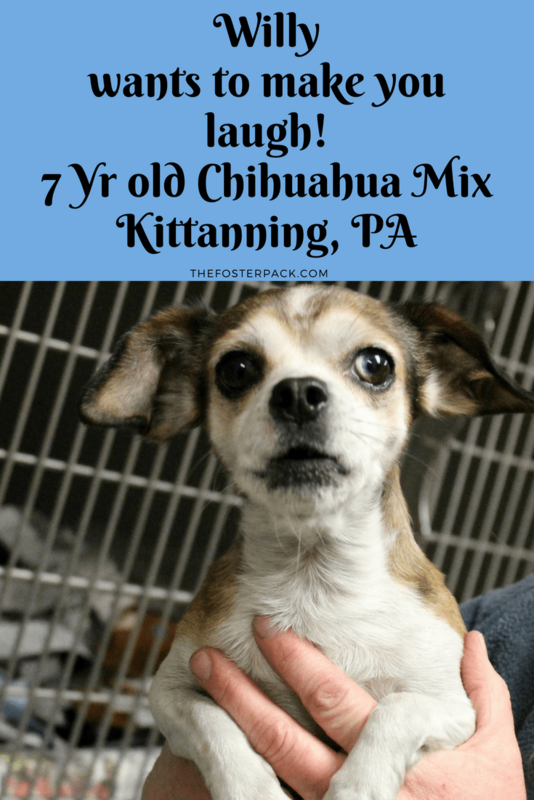 Willy wants to make his forever family laugh! This handsome little boy is Willy. 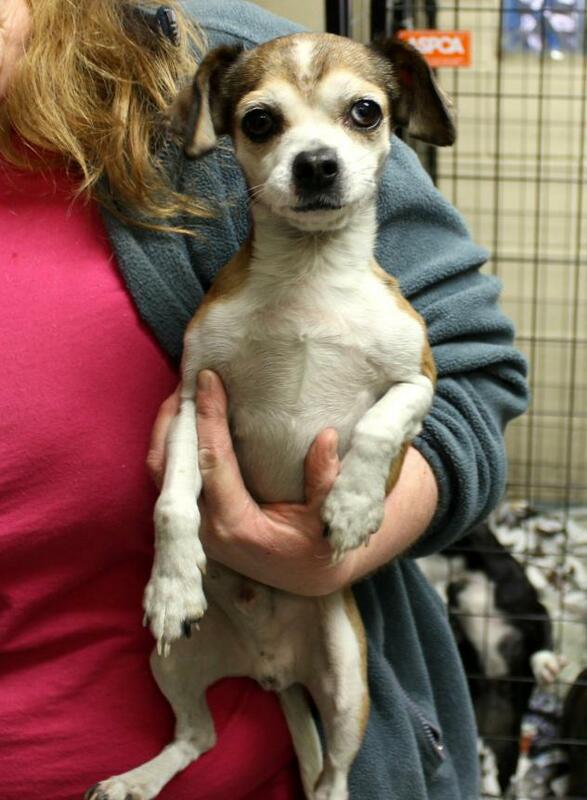 Willy is around 7 years old, a male Chihuahua Mix. And he’s a long-term shelter resident at Orphans of the Storm, a No-Kill Animal Shelter in Kittanning, PA. Just north of Pittsburgh, PA.
Willy can be a bit shy, but once this little guy gets to know you, he’s very affectionate and silly. He absolutely loves to play with his favorite toy. Check out his video below. Because of his small size and age, Willy needs to be adopted into an adult only home. No small children. If you’re an adult only home, with some love and space to share, Willy could be your new best friend. He’ll make you laugh in return for room, board, and affection! Watch his video and let Willy steal your heart! Orphans of the Storm, Inc.